It is widely accepted that it is usually in the interest of the parties to reach a settlement agreement that both parties can accept rather than to go through the expensive, stressful and drawn out process of litigation. Litigation is always a risky process to take even if you have strong prospects of success. The length and costs of litigation can substantially increase as a matter progresses due to the attitude taken by the other side to pursue their case. 3.Attempt to reach an agreement that both parties can accept. 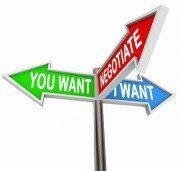 Mediation is a fast, confidential and inexpensive process and can occur with any type of dispute. If the parties do not reach an agreement at mediation, at the very least the mediation will assist the parties to identify the real issues in dispute. Our Commercial Litigation Team includes a mediator and solicitors that are experienced in participating in settlement negotiations and mediations.